Earlier this year, The Royal Mint launched the 50p British Culture Set as part of the 50th anniversary celebrations of this revolutionary seven-sided coin, which was first introduced in 1969. Following the hugely popular limited edition Gold, Silver and Base proof sets, The Royal Mint has today unveiled a Brilliant Uncirculated version of the set celebrating key cultural milestones. 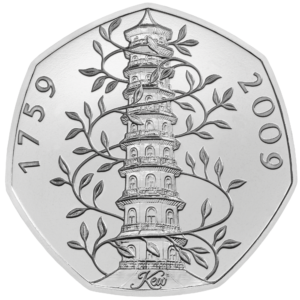 The coins featured in the set are some of the favourites amongst coin collectors, and includes one of the UK’s most sought after coins in circulation – the Kew Gardens 50p. 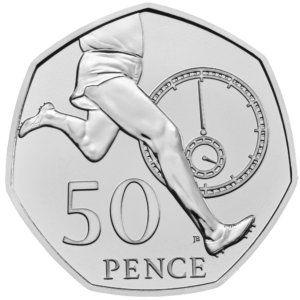 The full set also includes the 50p commemorating Roger Bannister’s world record sub-four-minute mile, 100 years of the Scouts, and 100 years of the Girl Guides, alongside the iconic ‘New Pence’ 50p. The coins featured in the set have been carefully selected to celebrate key cultural milestones. New Pence: United Kingdom / 50 p / Cupro-Nickel / 8 g / 27.3 mm / Design: Jody Clark (obverse), Christopher Ironside (reverse) / Mintage: unlimited. Restored to the coinage of Charles II in 1672, Britannia has been a fixture on the coins of every subsequent monarch. 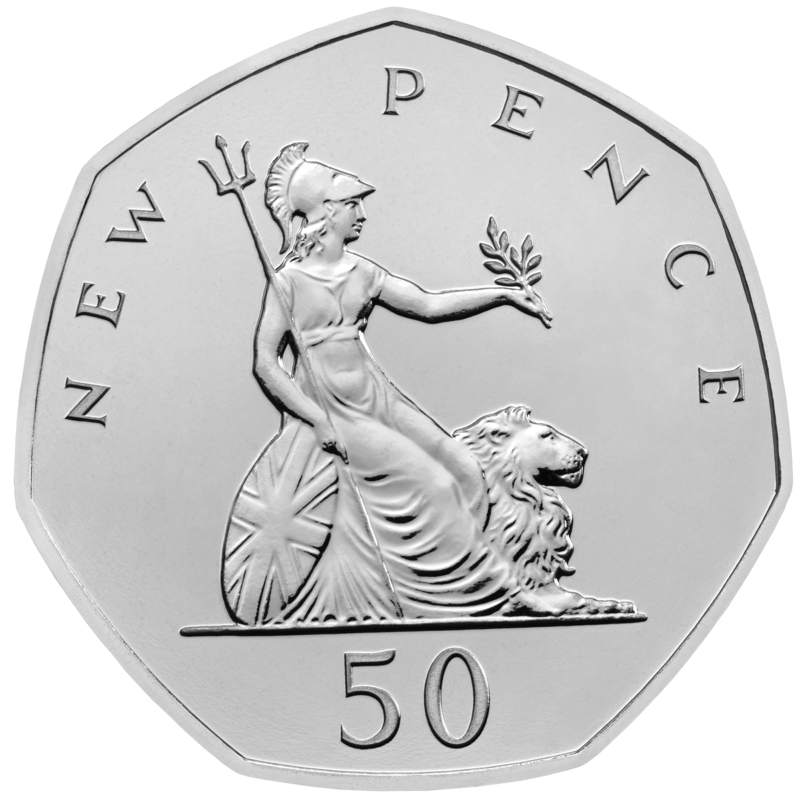 Christopher Ironside depiction of the most recognisable national icon – seated beside a lion, resting her shield – endured for 40 years before being replaced by Matthew Dent’s definitive design in 2008. Roger Bannister: United Kingdom / 50 p / Cupro-Nickel / 8 g / 27.3 mm / Design: Jody Clark (obverse), James Butler (reverse) / Mintage: unlimited. On 6 May 1954, Roger Bannister made sporting history, becoming the first athlete to run a mile in under four minutes. Taking the tape in three minutes and 59.4 seconds, in front of 3,000 cheering spectators at the Iffley Road track in Oxford, his legacy lives on as British athletes continue to break new ground, pushing themselves to the limit of human endurance. 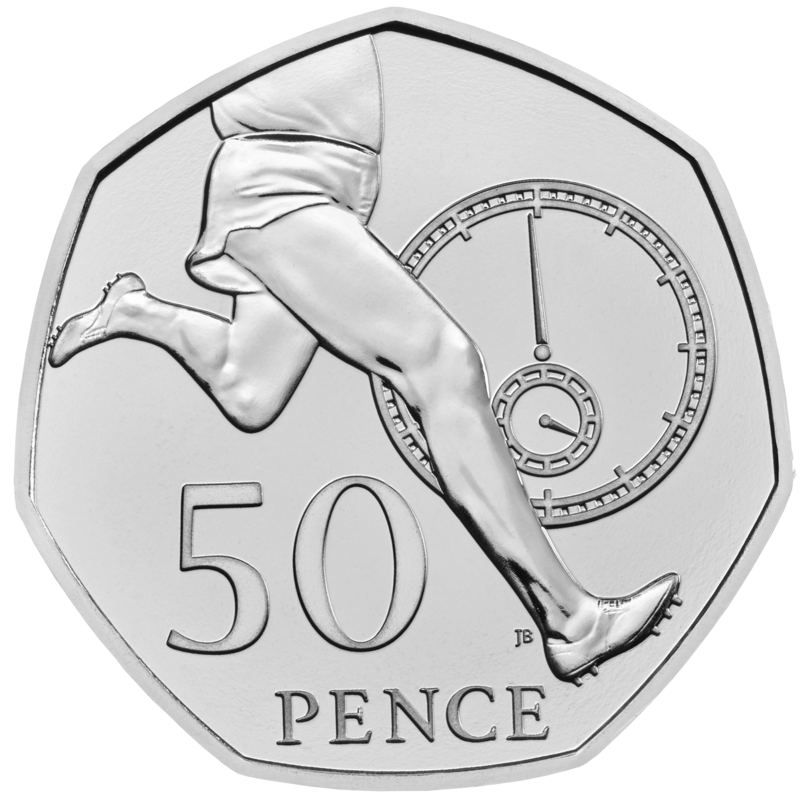 The design marked the 50th anniversary of this achievement by showing Roger mid-stride, as he closes in on his record. Scouting: United Kingdom / 50 p / Cupro-Nickel / 8 g / 27.3 mm / Design: Jody Clark (obverse), Kerry Davies (reverse) / Mintage: unlimited. The scouting movement was founded in 1907 by Robert Baden-Powell, a British cavalry officer. He hoped to instil in boys aged 11–14 a sense of resourcefulness and a code of chivalrous behaviour. Originally a British movement, scouting took off all over the world. Today, those values are still upheld as millions of boys promise to be loyal to their country, help others and obey the scout law. 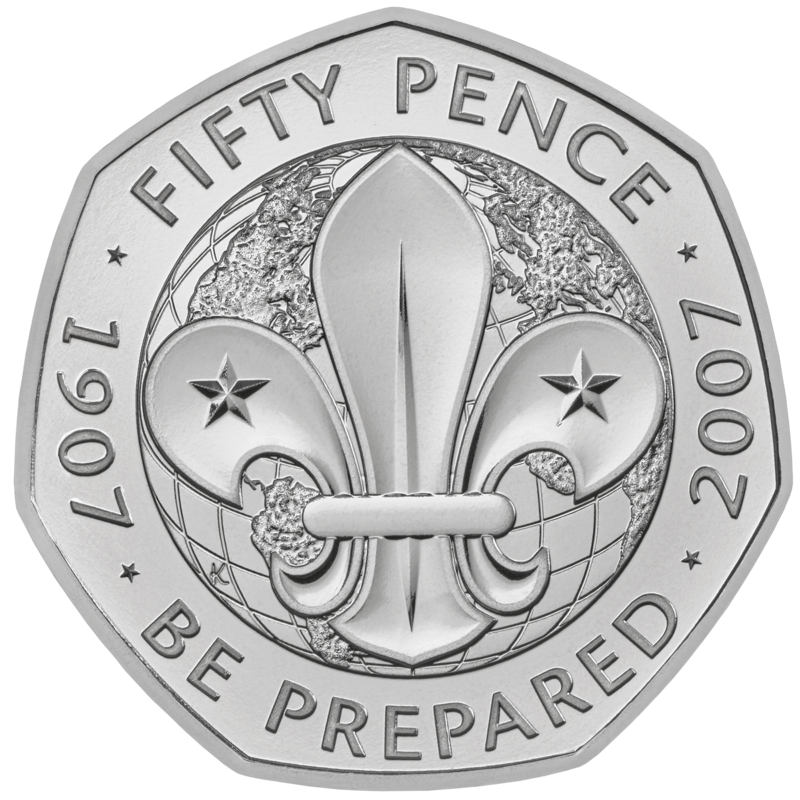 The design features the World Scout Emblem alongside the iconic motto ‘be prepared’. 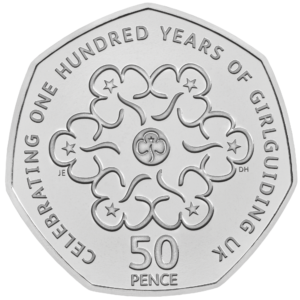 Girl Guides: United Kingdom / 50 p / Cupro-Nickel / 8 g / 27.3 mm / Design: Jody Clark (obverse), Jonathan Evans and Donna Hainan (reverse) / Mintage: unlimited. Inspired by the popularity of his scouting movement, in 1910 Baden-Powell asked his sister Agnes to start a similar group for girls. Still going strong in the twenty-first century, through a mixture of fun, adventure and friendship, the Girl Guides encourage today’s youngsters to face the challenges of growing up and to be the best they can be. The design features a special arrangement of the Girl Guides trefoil. Kew Gardens: United Kingdom / 50 p / Cupro-Nickel / 8 g / 27.3 mm / Design: Jody Clark (obverse), Christopher Le Brun (reverse) / Mintage: unlimited. 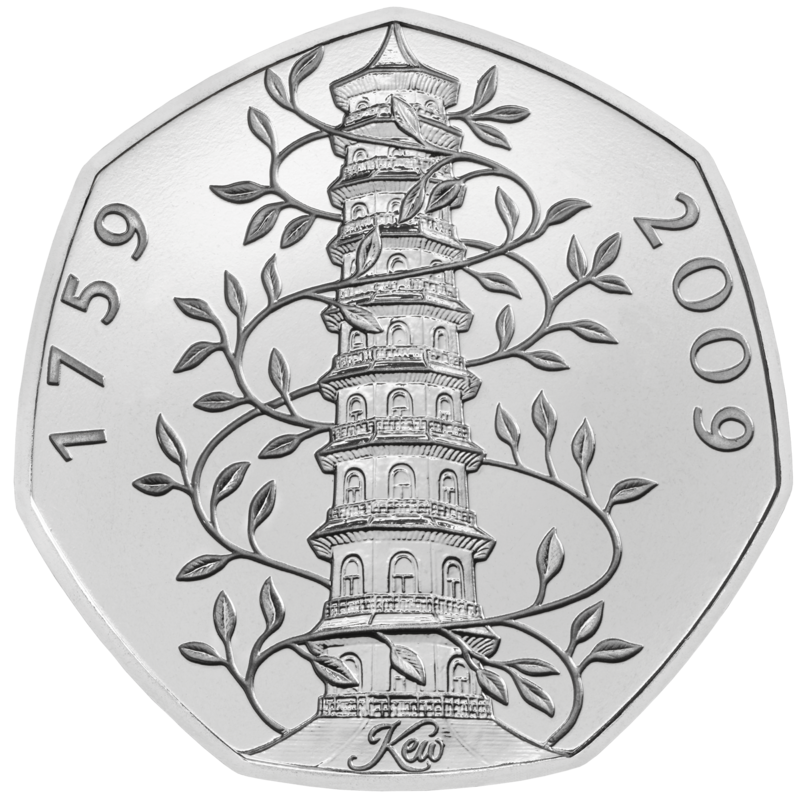 2019 is the tenth anniversary of the release of the Kew Gardens 50p. A £5 million facelift of the Great Pagoda has recently restored Britain’s first skyscraper to its former splendour – even the dragons have returned for the first time in 200 years. Originally completed in 1762 as a gift for Princess Augusta, Kew’s landmark building will stand for centuries to come. The famous design features the Great Pagoda in all its glory, encircled by rare vines. The 50p Brilliant Uncirculated British Culture set is available on The Royal Mint website. You can find out more about Roger Bannister and his athletic accomplishments in the Encyclopaedia Britannica. A short introduction with additional information on Robert Baden-Powell is available on YouTube. Those interested in visiting Kew Gardens will find all the necessary information on the official website. The Royal Mint has announced that an additional 2.1 million 10p coins of the Great British Coin Hunt will enter circulation soon. The extremely popular A to Z collection showcases the best of British culture.